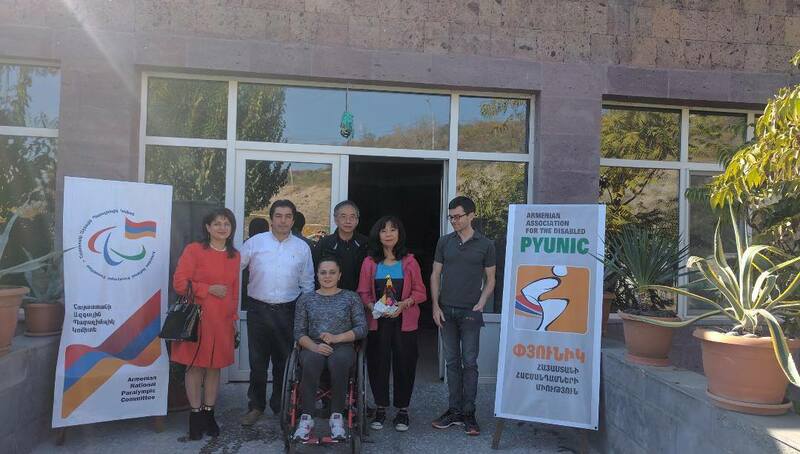 Appreciating the work implemented by Pyunic, the Government of Armenia donated four storied buildings to the organization to create a center for persons with disabilities. Now the organization owns a center where computer training, ceramic work, embroidering, bead work, wood carving, silk screening workshops, and a gym are situated. Early intervention project is being implemented in the center, within the frameworks of which children receive services of special educator, psychologist, physical therapist, social worker and art therapist. In 2000 and 2011 Pyunic was recognized as the best organization that serves people with disabilities by the All Armenian Youth Foundation. In 2006 and 2012 the President of Pyunic was recognized as the best leader of Non-governmental organizations for providing services to persons with disabilities. As a result of advocacy work implemented by the organization Armenia is becoming more accessible and friendlier country for the persons with disabilities. Now many streets in big cities of Armenia are accessible for wheelchair users, Yerevan has accessible buses and trolleybuses.